The Last Story is an action RPG released on the Nintendo Wii that combines an exciting new battle system with a traditional story of swords and sorcery. From the original creator of Final Fantasy, Hironobu Sakaguchi, The Last Story brings together the classic elements of the genre, such as an involving story, memorable cast of characters and in-depth customisation with a new way to engage in battles. 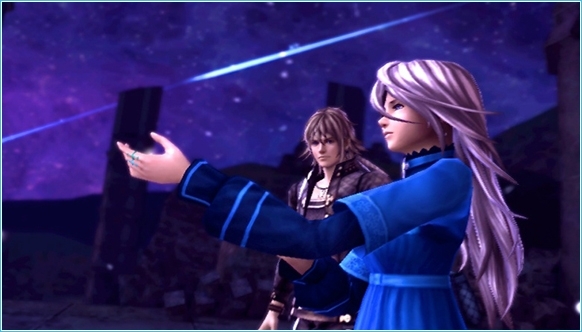 The Last Story feels a lot like older RPGs, but the game play is something entirely modern. The narrative follows the antics of a band of mercenaries living on the beautiful Lazulis Island, ranging from Zael, the hero who discovers a magic power, to Syrenne, a heavy drinking, short tempered rogue. It is the cast of characters that is The Last Story’s greatest strength. They all have a unique personality and the conversations between themselves are a highlight. The plot evolves into a love story between Zael and the mysterious princess Calista and involves confrontations, invasions and kidnapping. The story is fast paced, interesting and action packed, but it also takes the time to show some heart-felt moments that will keep the player coming back for more. Battles are fought in real-time, with the player in control of Zael. He can block, run, dodge, hide behind walls and take cover from enemies as well as attack them with his sword or shoot at them with his crossbow. 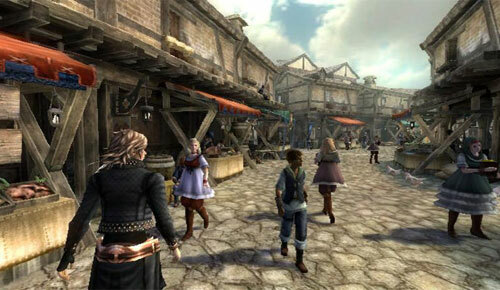 The game also features the ability to stop battles and issue commands to your allies, creating an added layer of depth to the battle system. Boss battles are strategic and challenging, demanding different tactics such as telling your allies to use fire magic to destroy a bridge. 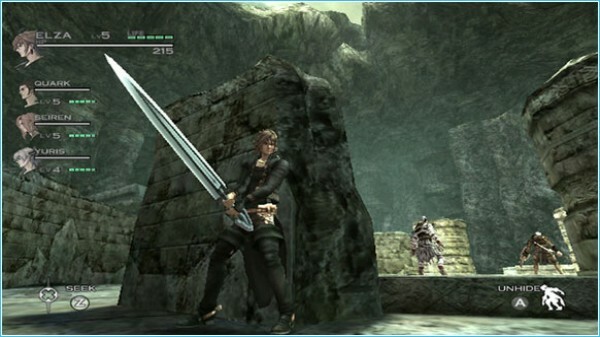 Unlike most RPGs, The Last Story also contains online multiplayer, where players can team up or verse each other in deathmatch modes. The game play is the most addictive of any recent RPG. Teaming up again with Sakaguchi, Nobuo Uematsu’s soundtrack for The Last Story is amazing. It brings atmosphere and emotion to the narrative, from the majestic “Theme of The Last Story”, to the moody battle track “Order and Chaos”. The wonderful music adds that special element that all great RPGs possess to make them stand out from the crowd. The Last Story has the heart and soul of classic RPGs, but brings forth one of most innovative new battle systems in recent games. If you wish to play an RPG full of charm and character, then you should play The Last Story.